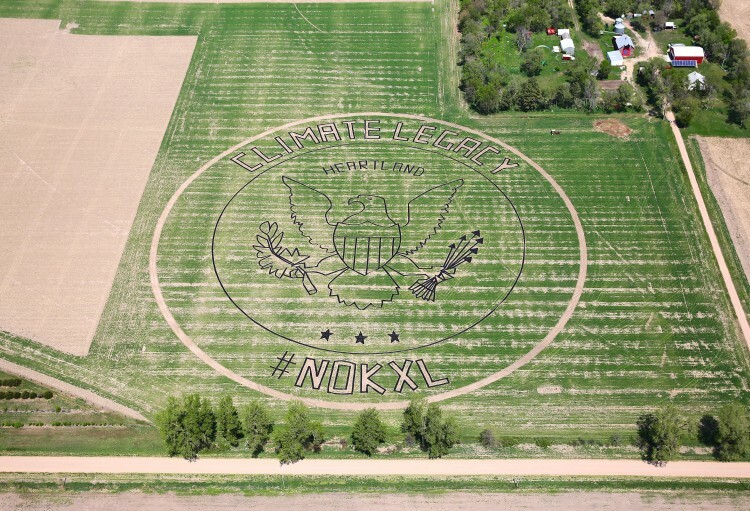 Neligh, Nebraska — During what is normally a time to plant crops, Nebraskans went into the field for a different reason — to create a massive crop art installation of the Presidential Seal with the words “Climate Legacy, #NoKXL” to send a message to Pres. Obama that his legacy is tied to rejecting the Keystone XL tarsands pipeline. Landowners and citizens remain confident President Obama will reject Keystone XL given the impact tarsands has on carbon and water pollution. Over 100 landowners in Nebraska refuse to sign over their land to TransCanada and have an active lawsuit over eminent domain for private gain. 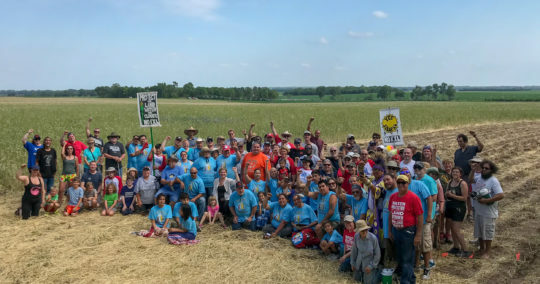 Additionally, landowners, citizens and Tribal Nations in South Dakota are contesting the proposed pipeline’s state-based permit over concerns of water pollution and treaty rights. 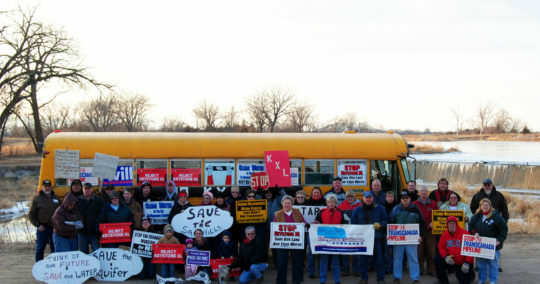 Nebraskans started fighting Keystone XL in 2010 to protect property rights and our precious water sources. Pres. Obama first tied the pipeline to climate change with the historic speech he gave in June 2013 at Georgetown University. Advocates now call on the President to back up those words with continued climate action. 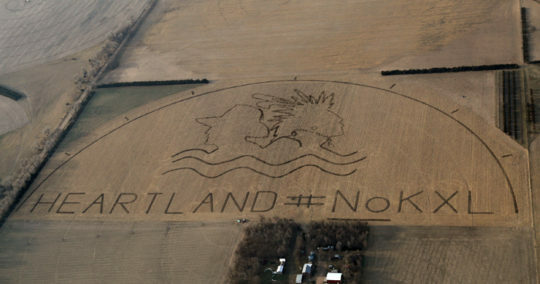 Photo Caption: A massive crop art replica of the Presidential Seal calling for President Obama to protect his climate legacy by rejecting the Keystone XL pipeline covers a 15-acre field outside of Neligh, Nebraska. 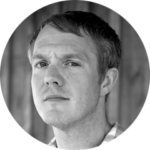 Farmers, ranchers, native allies and advocates hope this action helps seal Pres. Obama’s rejection of the tarsands pipeline. Art Tanderup, who owns the farm, drove the tractor that etched the image based on a design created by artist John Quigley. Photo by Dakota Aerials for Bold Nebraska.